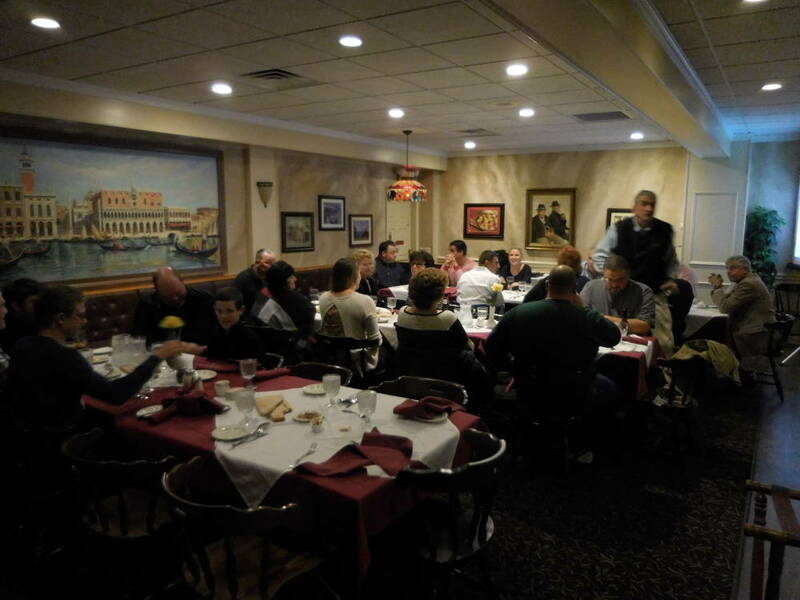 The growers of the Jersey Fruit Cooperative recently gathered at our favorite restaurant to recap the 2015 summer season; which was marked by a weather shortened blueberry crop and a strong peach season. The highlight of the night was an informative PowerPoint presentation, filled with detailed information pertaining to each individual crop and how this year compared to years past. Group shot; Cooperative members and Sunny Valley representatives anxiously awaiting the start of the meeting. November is a tough time of year to hold a meeting and expect every cooperative member to be present, many farmers have been working non-stop for 6+ months and enjoy the downtime after a long season. It’s difficult to contend with archery hunting season as a few farmers chose to travel across the country in order to fill their freezers with delicious wild game and who can blame them? 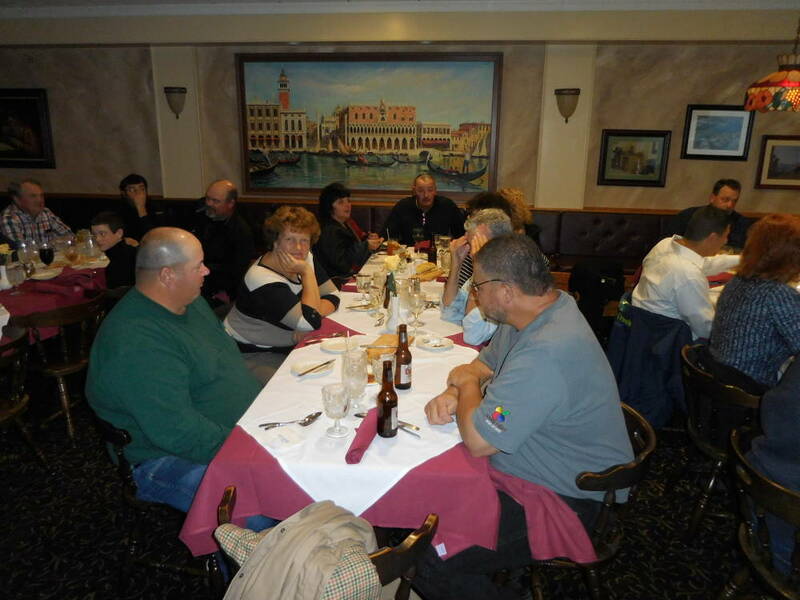 The Cooperative meeting was graciously hosted by Esposito’s Maplewood III, located in Vineland, NJ. The Maplewood is a favorite spot of the Jersey Fruit Cooperative, known for their fresh seafood, homemade pasta, and friendly staff. 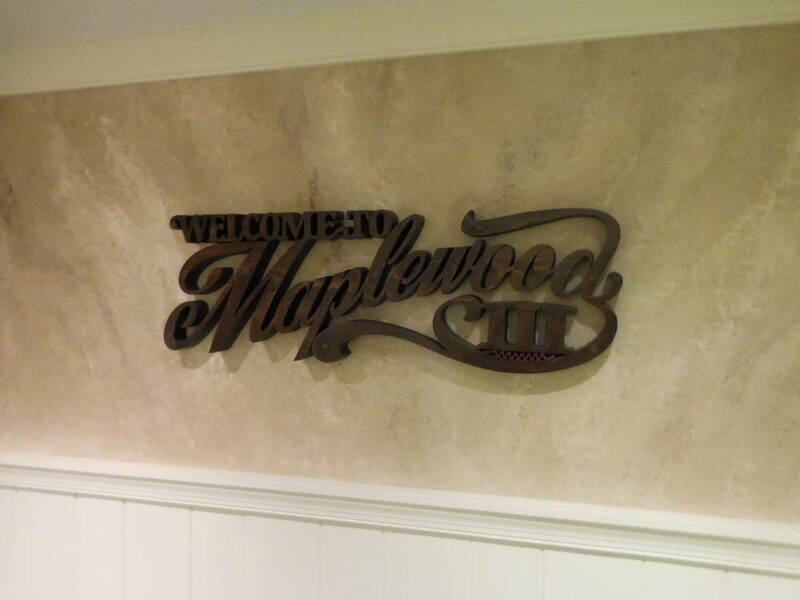 It’s never an easy task to find the correct venue for an event like this but I am sure that everyone can agree the Maplewood III did a great job hosting our event and I personally look forward to next year’s meetings. Whalen Farms, LoSasso Farms and Sunny Valley representatives. While we waited for our meals to be served, Sunny Valley International presented the sales recap for the 2015 season. The Jersey Fruit blueberry crop encountered a speed bump in the form of a mid-season severe thunderstorm that turned over trailers and blew a large percentage of berries off the bushes from a few centralized farms. Other regions in North America which also provide fresh blueberries to the market have started planting varieties of berries that expand their season, this puts pressure on New Jersey to remain consistent and keep up with the high demand of sweet and plump blueberries during the summer months. After the storm hit and lowered the volume of New Jersey blueberries, many retailers and wholesalers started purchasing blueberries from other regions and never looked back. Although it wasn’t the strongest season Jersey Fruit had in regard to the volume of blueberries produced, the quality of the fruit was impressive. First time customers, ordering Farmhouse Fruit Blueberries, quickly turned into returning customers when they received on their doorstep the freshest and sweetest blueberries in the country. Keep an eye out for updates while Farmhouse Fruit works directly with Cooperative blueberry farmers this off-season to install irrigation, thin bushes and maintain their land for future generations. 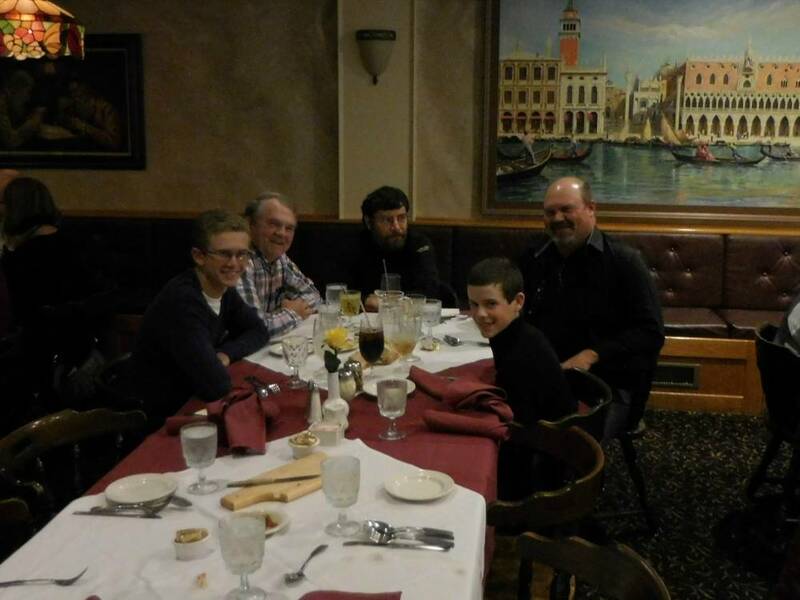 Three generations representing Heilig Orchards in Mullica Hill, NJ along with the hardest working man in produce, Leo. If you had the privilege to enjoy a New Jersey grown peach this summer you got a chance to eat a wonderful treat, grown in excellent conditions. The 2015 peach season started off with a perfect winter that provided the trees with essential chill hours, along with expert thinning and pruning which produced the most plump, juicy and sweetest peaches I have had in a long time. I can’t forget to mention our White Peaches and Nectarines also had a stellar year, with increasing volume of these varieties of stone fruit it shows the diversity of the farmers who make up the Jersey Fruit Cooperative. Did you know, Farmhouse Fruit has the ability to ship White Peaches or Nectarines, when available, in place of the 12 hand-selected Yellow Peaches (To Peach His Own)? The strength of the Cooperative can be seen in the above picture of the Heilig family, representing Heilig Orchards; three generations of peach growers are always present and eager to learn new sustainable farming techniques while adapting their field level changes in line with end of year pack-out reports. Food Safety is also a very important topic at these meetings which is why Sunny Valley employees a full time Food Safety Expert who diligently guides each farm through their field & packing house audits. Cecilia Allende, Food Safety Expert, presented to the members how new USDA regulations are aiming to strengthen existing regulations already in place to ensure a safe product for the consumer. In conclusion, getting together with the men and women of the Jersey Fruit Cooperative is like going home for the holidays; you are surrounded by great people and good food. As the 2015 season closes, we look a head to new adventures in the world of New Jersey grown fruit, which include a step forward in sustainability and a new marketing strategy that will bring our customers closer to our farmers and their delicious and healthy fruit. Make sure to keep in touch by adding your email to our mailing list. As always, be part of the solution and not the problem!